So we’re here to tell you how to make a latte … without any of the expensive equipment. It’s easier than you think, so you’re not far from a fresh latte (or, dare we suggest, a latte art session) in the comfort of your own home. Just What Is a Latte? Before you can learn how to make a latte, we need to define exactly what a latte is. It’s the shortened form of caffè latte, which is Italian for coffee with milk. It just sounds better in Italian, doesn’t it? So lattes are a blend of espresso and steamed milk, topped up with a dollop of milk foam. Or, if the barista is feeling really fancy, artistic swirls in the froth or an incredibly cute cat. So you don’t have a machine to steam your milk or compress your espresso. No problem! While a machine makes the process much easier, you can still enjoy a fresh latte in the comfort of your own home. It just takes a little planning and some elbow grease. You need a little more than your regular coffee pot to make a successful latte at home. Short of buying a machine, we recommend investing in a few tools to make brewing a latte easier. Steamed Milk and Frothed Milk: What’s the Difference? This can make a huge difference in the texture of your coffee. You don’t want to just mix frothed milk with espresso and call it a day. While it might taste good, that’s a macchiato, not a latte. So what’s the difference? Think about it like this: you can have steamed milk by itself, but you can’t have froth without steamed milk. Delicate milk bubbles can’t survive without heat. Frothed milk is basically the result of aerating heated milk. Steamed milk is essentially heated milk. However, you want to heat the it just enough to give it the power of bubbles without scalding or changing the milky flavor. You can do this in the microwave, but you have more control over the heat on the stove, so we recommend going to the stovetop for this one. 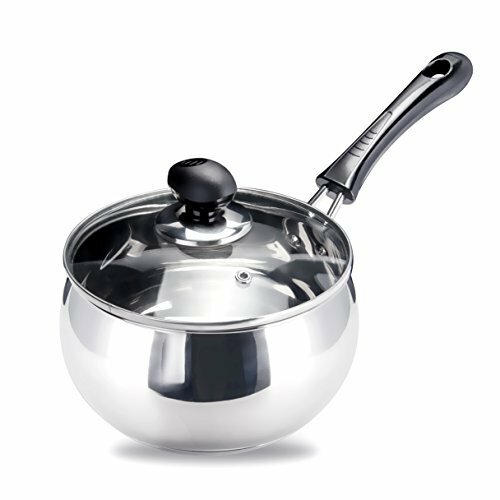 Small saucepan If you click this link and make a purchase, we earn a commission at no additional cost to you. Thermometer If you click this link and make a purchase, we earn a commission at no additional cost to you. Pour the milk into a small saucepan and place it on the stovetop. Place the thermometer in the milk to monitor the temperature. Or, if this isn’t possible, just have the thermometer handy to periodically check the temperature. Occasionally stir the milk to keep it from boiling. Once it hits the appropriate temperature, remove the milk from heat and pour it directly into your coffee, or froth it. minute and a half from freshly frothed milk. 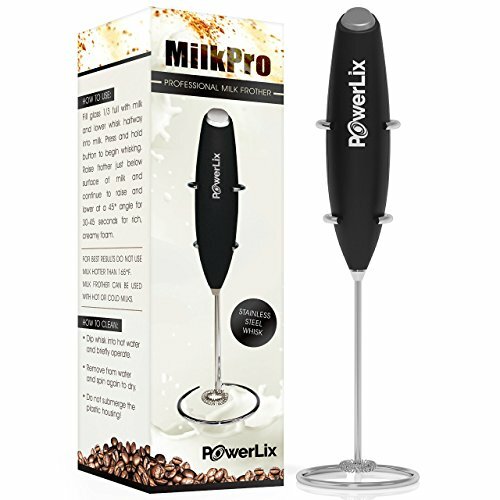 milk frother If you click this link and make a purchase, we earn a commission at no additional cost to you. and frothing pitcher If you click this link and make a purchase, we earn a commission at no additional cost to you. are worth the minimal investment. (And they help unleash your inner barista without a crazy expensive machine.) You can also froth your milk in a simple Mason jar If you click this link and make a purchase, we earn a commission at no additional cost to you. . Temperature and air are the keys to fluffy, aerated milk foam. 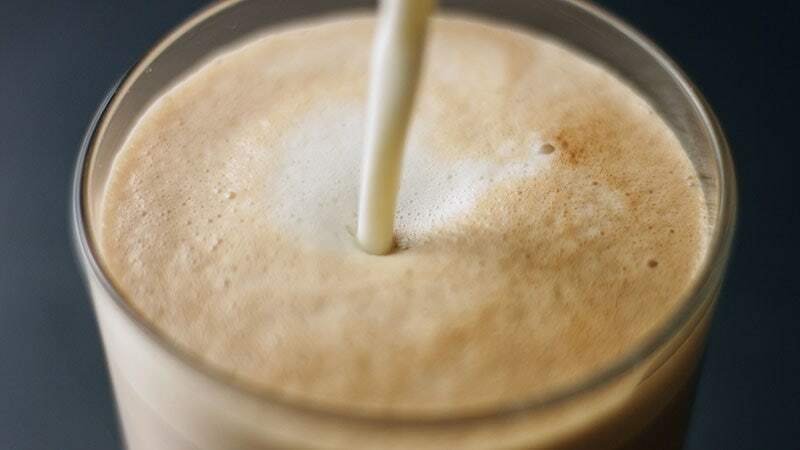 To get the same effect as a frothing wand or an espresso machine, you can use your French press’ pump to aerate the milk before heating it in the microwave. Fill up to one third of your French press beaker with milk. Pump the plunger for twenty seconds or until the milk doubles in volume. Set aside the lid and plunger. Remove the glass beaker from any plastic or metal. Microwave the beaker until the foam rises up to the top (try to avoid a milk foam-over; you don’t want to clean up that mess). This takes around 30 to 45 seconds. Remove the beaker from the microwave and enjoy your fresh milk foam. If you plan on making lattes more regularly, a frothing wand and pitcher are pretty sound investments. You can usually find both online for under $30 apiece, and they take a little uncertainty and finesse out of the milk frothing process. Frothing wand If you click this link and make a purchase, we earn a commission at no additional cost to you. Frothing pitcher If you click this link and make a purchase, we earn a commission at no additional cost to you. 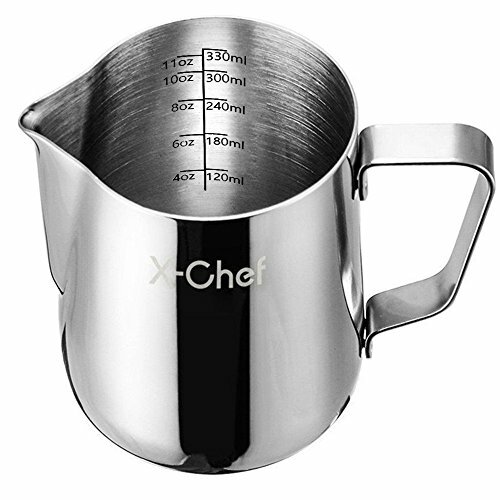 or small saucepan If you click this link and make a purchase, we earn a commission at no additional cost to you. Pour the steamed milk into the frothing pitcher or leave it in the pot. Submerge the frothing wand about halfway into the milk. Make sure you have enough space in the pitcher for the foam to adequately expand (it can triple in size). Turn on the frothing wand and slowly pull the wand closer to the surface of the milk. Lower the wand back to the middle in a gentle motion. Continue to lower and raise the wand at an angle for about 30 to 45 seconds, or until you have a pitcher or pan full of foam. Note: Make sure to review the manufacturer’s instructions before using your frothing wand. The instructions may differ. Like making frothed milk with a French press, all you really need is a way to heat the milk after it’s been aerated. This can be easily accomplished with a sealable glass jar, although your foam will be a little coarser. 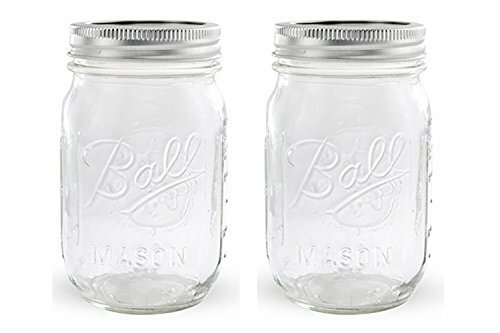 Mason jar If you click this link and make a purchase, we earn a commission at no additional cost to you. Fill the Mason jar with milk, up to one third of the way full. Shake well until the milk doubles in volume. Take off the lid and place the jar in the microwave. Heat the milk on high for 30 to 45 seconds. The foam needs to rise near the lip of the jar, but you don’t want it to bubble over. Remove the jar from the microwave and enjoy. Science Break: What Makes Milk Foam So … Foamy? No, it isn’t just shaking it up, although that helps a great deal. The actual makeup of milk—carbohydrates, proteins, and fatty acids—are the main drivers of foam capacity. It’s also why using milk alternatives might give you different types of foam. It helps to think of milk as a food more than a liquid, especially when heat is involved. That’s because milk’s three main components tend to coagulate in heat and burn when overheated. When you shake up milk for froth, the addition of air disrupts the casein, a type of protein found in milk. But casein wants to stay together, so it forms a kind of shield around the air bubbles, which helps them hold their shape longer and protects them from bursting. So if you want super-foamy froth, look for milk with a higher protein content. Remember, a low protein content doesn’t mean bad froth; it just means froth of a different character. That’s because these types of milk have different fat and carbohydrate contents, which contribute to the creaminess of your froth, which is why we love using whole milk, as well as the ability to hold foam longer. It’s much easier to make steamed and frothed milk without an espresso machine than it is to make espresso without a machine. That’s because good espresso relies on pressure, and a machine is the easiest way to achieve consistent levels. But that doesn’t mean it’s impossible. In fact, espresso at home is straightforward once you get the hang of it. All you need is an Aeropress, Moka pot, or a French press. 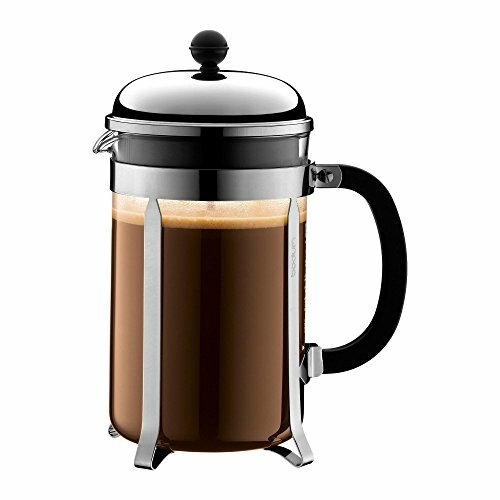 If you noticed a trend with these coffee makers, you’re already a step ahead. 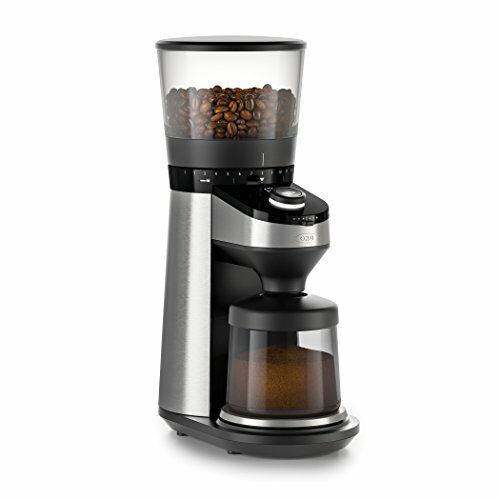 These coffee makers rely on some type of pressure to brew or extract coffee. They might not provide as much force as an espresso machine, but they can still get the job done. Now that you’ve got pressure covered, all you need are some dark roast coffee beans and, of course, a burr grinder If you click this link and make a purchase, we earn a commission at no additional cost to you. . Another key part of espresso is a fine grind, which can be nearly impossible to achieve without a proper grinder. Besides, many good burr grinders are inexpensive and save you the work and stress of grinding your beans. What’s not to love? Sure, a traditional latte is just milk and espresso. But we live in a world of infinite flavor combinations, so don’t let a simple recipe stop you from spicing up your carefully brewed latte. After all, who needs to go to a huge coffee chain for flavored lattes when you can do it at home for less? While it’s a popular option, syrup isn’t the only way to add some zest to your latte. Get experimenting with your spices and baking supplies for a more flavorful, delicious cup of coffee. Just a word of warning—a little flavor can go a long way (especially when you’re dealing with extracts). Start with an eighth or fourth of a teaspoon, and work your way up to the perfect amount of flavor for you. Better yet, make sure to write down what you do so you can adjust and replicate your latte flavors in the future. Yes, we’ve been talking about how to make a latte without the machine. 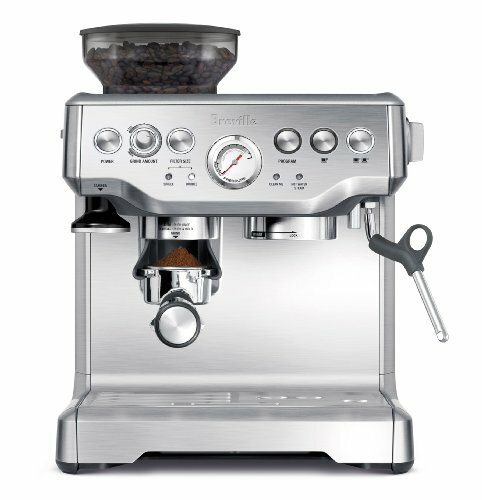 But if you’re making lattes more than you’re brewing a regular cup of coffee, an espresso machine If you click this link and make a purchase, we earn a commission at no additional cost to you. might be a good investment for you. That’s because espresso made without a machine is less exact. Brewing a good shot of espresso relies on extremely precise pressures and water temperatures. Using alternative methods to brew espresso can open you up to mistakes in your shots, rather than a perfect shot every time. We get that your budget and your counter space can really limit your coffee equipment fantasies. But if you have the means and the kitchen capacity, an espresso machine can make it quicker and easier to get to your morning latte. You have all (or most) of the tools, and now you have the knowledge. Get off the internet and get to brewing that latte.